What was discussed at last month’s World Border Security Congress in Madrid? The welcome session set the scene for the 3-day congress with an initial opening address from the Chairman, John Donlon QPM followed by inputs from the International Organisation for Migration, the Organisation for Security and Co-operation in Europe and the President of the European association of Airport and Seaport Police. The keynote speakers on day one articulated the importance of Border Management activity internationally and the significant challenges, which Governments, Policy Makers and Law Enforcement Agencies face with increasing pressures in a difficult economic climate. The task for the event was to explore the major issues that were common to so many nations and seek to share experiences and continue to develop border management resolutions and solutions. 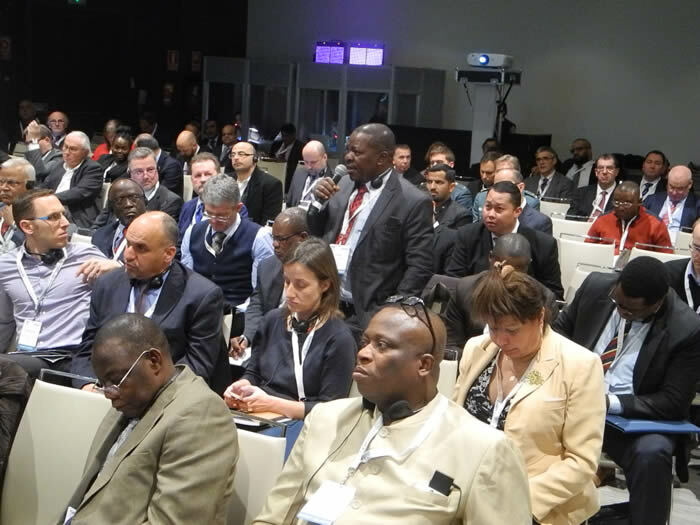 With a global audience from 52 nations and nearly 250 participants the conference received some excellent presentations from a broad range of distinguished and experienced border related experts. Alongside this, and importantly, there were some exceptional discussions and debates teasing out some of the more demanding areas of concern and addressing them from a range of perspectives, both from government and commercial positions. This was a truly global conference seeking to address global border issues and challenges and one which highlighted the need for continued efforts in developing, national, regional and international; Coordination, Cooperation and Communication. There was, this year, a great deal of focus on migration pressures and the need for nations borders to be; Ordered – Structured and Safe to assist the enormous amount of migrant movement at a time when the displacement of people is even greater now than any time since the second world war. As predicted, terrorism continued to be topic of special interest with a number of speakers presenting on the significant challenges that we all face globally and are likely to face for many years to come. At last year’s congress we heard a lot about Drug Smuggling and the international initiatives in place to tackle the issues, but not so much this year. However, we heard a lot more about Human Trafficking, a growing trend which is truly a global concern, with some particularly good references demonstrating how easy it is to miss something if you are not looking for it. Modern Day Slavery was also a topic of considerable discussion and some figures that were quoted, in terms of the amount of people in slavery, estimated to be 45.8 million really drove home the extent of the issue. There was some surprise that there was not more focus on Cyber activity and its potential implications for border management information systems but no surprise at all that there was a continuing theme on Information Sharing. Again, this year there were some very positive comments from Europol on the progress that has been made in this area over the last 12 months. A number of presenters spoke of the continuing need for cooperation and coordination and a quote that was used on more than one occasion captured the way forward: “Alone we can only do so much, but together we can do so much more”. The Chair of the congress closed at the end of day 3, thanking the participants for their active participation across a wide range of discussions and linked the fact that all who attended were seeking new ways through new challenges and treating those challenges as opportunities to do things better in the future. The next World Border Security Congress will be held in Casablanca, Morocco from the 19-21 March 2019. The World Border Security Congress is a high level 3-day event that will discuss and debate current and future policies, implementation issues and challenges as well as new and developing technologies that contribute towards safe and secure border and migration management.